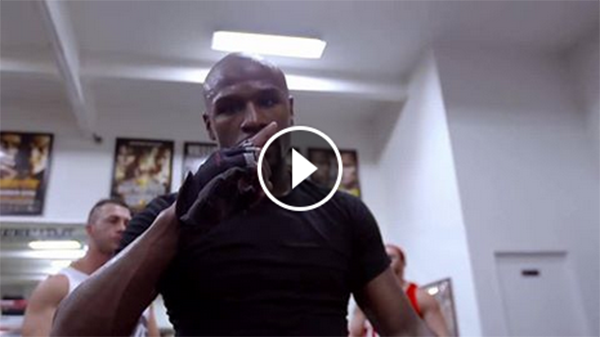 Floyd Mayweather Jr.'s TBE: The Best Ever video has gone viral on Facebook just a little over a month before his mega-fight with Manny Pacquiao. Posted on Sunday, March 22, the video already garnered over 22,000 shares and almost 3 million views as of 9 a.m. today. The undisputed American boxer will put his unblemished 47-0 record on the line against the Filipino boxing icon at MGM Grand Garden Arena in Las Vegas on May 2nd. Reports said Mayweather is on a rigid training to prepare for his fight. His uncle, ex-boxer Jeff Mayweather, told media that he has "destroyed" his sparring partners including former undisputed welterweight champion Zab Judah, a southpaw. "The kids, early in camp, they don't care that he's Floyd Mayweather. They want to prove something. They've proved something, all right. They're getting destroyed," the former IBO junior lightweight champion reportedly said. With the way Floyd Mayweather trains, it looks like he's very determined to beat Manny Pacquiao.